07/02 2am Keflavík. The plane was meant to arrive shortly after midnight, but was delayed. 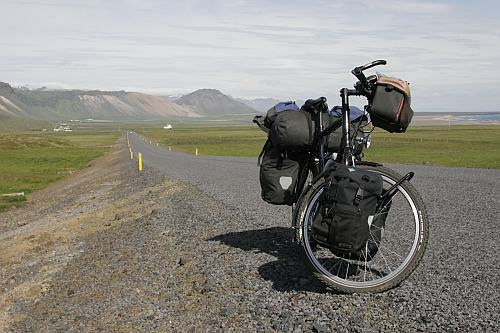 I did not find the nearby campsite, so I cycled the 50km to Reykjavík though the rain. 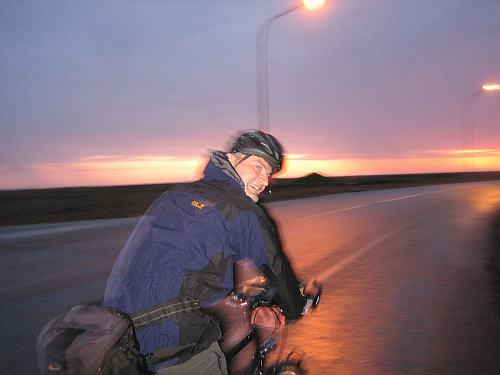 This was the first time that my cycling day was over at 6:30am. 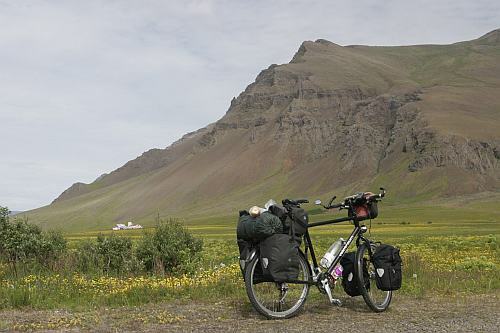 07/05 Riding the Snæfellsnes peninsula. The spokes made some strange sounds. Even my unloading and repair trials did not show any impact, so I kept on riding with this kind of music. 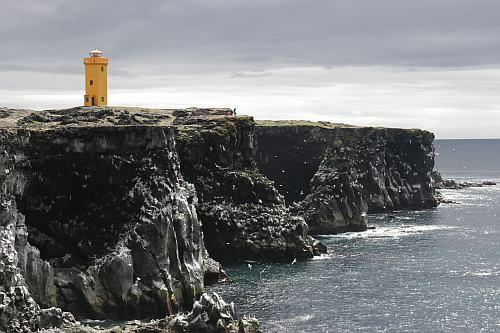 07/06 The arctic tern is very aggressive when breeding. 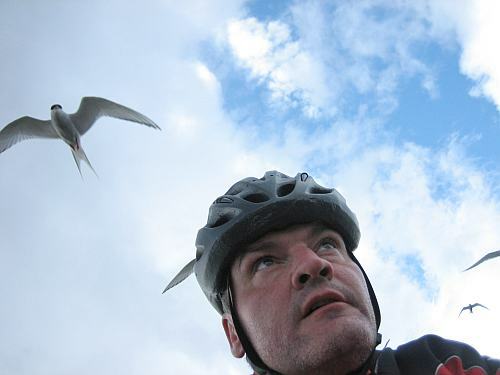 They attacked me a couple of times when I was riding too near to their nests.